Gerry McCartney has served as Purdue University's chief information officer since July 2007. In 2013, his role was expanded to include responsibility for the Office of Institutional Research, Assessment and Effectiveness (OIRAE) and oversight of information technology at the regional, as well as West Lafayette, campuses. In 2017, he was named executive vice president with the additional duty of leading an effort to develop a more organized, strategic approach to online and digital offerings for the entire Purdue system. Under McCartney's leadership, Purdue has developed the nation's largest cyberinfrastructure for research, with multiple supercomputers listed in the internationally known Top 500 list. Also during his tenure, Purdue has developed some of the nation's most advanced learning and classroom technologies, including Forecast and Hotseat. In addition, in 2010 McCartney provided oversight to a campus-wide restructuring of the information technology resources used by the nearly 15,000 faculty and staff on campus. As System CIO, McCartney is responsible for the management of Purdue data and IT resources at the West Lafayette, Northwest and Fort Wayne campuses. On the West Lafayette campus, areas of responsibility include application services; cyberinfrastructure for research; IT infrastructure; IT security and policy; academic and classroom technologies; and the Office of Institutional Research, Assessment and Effectiveness. 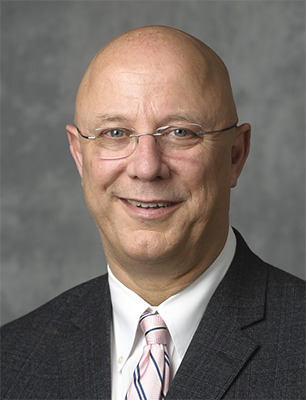 McCartney reports directly to Purdue President Mitchell E. Daniels, Jr.
McCartney holds tenure at the rank of Professor in the Purdue Polytechnic Institute and is the inaugural recipient of the Olga Oesterle England Professorship of Information Technology. Before becoming CIO, McCartney served two years as assistant dean for technology at Purdue's Krannert School of Management, where he taught in the MBA, executive MBA and engineering management programs. McCartney also is the principal investigator for the Northwest Indiana Computational Grid. From 1993 to 2004, McCartney was associate dean and chief information officer at the University of Pennsylvania's Wharton School. He was director of the Krannert Computing Center from 1990 to 1993 and was manager of user services at the Purdue Computing Center from 1988 to 1990. He also has held managerial positions in the computing centers at both the University of Notre Dame and Maynooth College in Ireland. McCartney holds a patent on a product providing authenticated access to Internet-based research and data services. He also earned the CIO Enterprise Value Award in 2003, the 2013 Global Leader in IT Value Award, the 2015 Computerworld Premier 100 Award, and is a member of the CIO Executive Council. McCartney frequently speaks and comments on the entrepreneurial management of technology for national media. In 1995, McCartney received his doctorate in sociology and anthropology from Purdue. McCartney also earned diplomas in advanced computer programming and systems analysis from the Graduate School of Engineering at Trinity College in Dublin, Ireland, in 1982 and 1984. He took first class honors in both his bachelor's and master's degrees in 1981 and 1984, respectively, from Maynooth College. McCartney is married to Dr. Kitti Carriker and they have two adult sons. McCartney can be reached by email or by phone at (765) 496-2270.